Provides vision and strategic direction for the effective and secure use of information technology to improve the delivery of services and achieve operational improvements and County business goals. Responsible for enterprise IT planning, addressing cross-departmental IT issues, ensuring adherence of countywide IT practices and policies, and providing recommendations to the Board of Supervisors and Chief Executive Office regarding prudent allocation of IT resources. 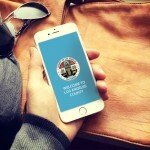 "Computer technology is changing how the County of Los Angeles delivers services. We strive to find solutions that will save departments money and make information access easier for our constituents."